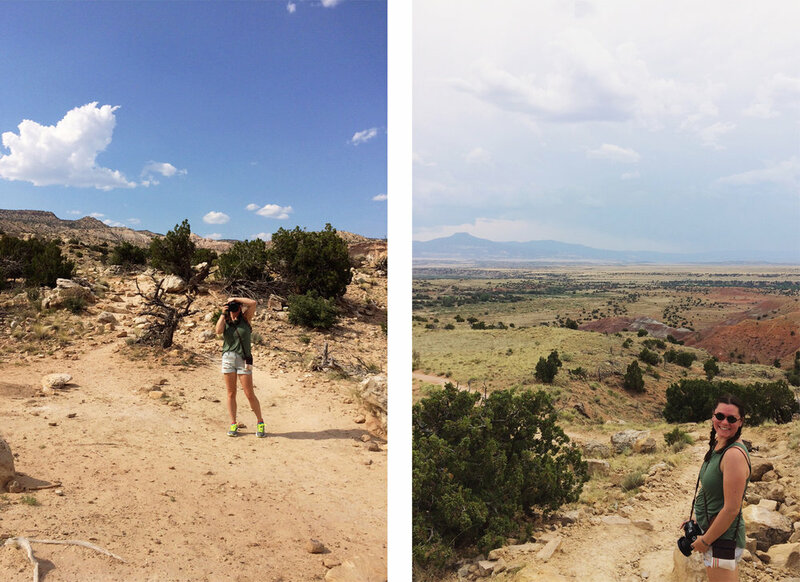 so i admit i completely forgot to finish blogging about our amazing adventure to Santa Fe last summer. we had SO much fun and i want to have this little online journal to come back to when i'm missing the desert and this enchanting place called New Mexico. 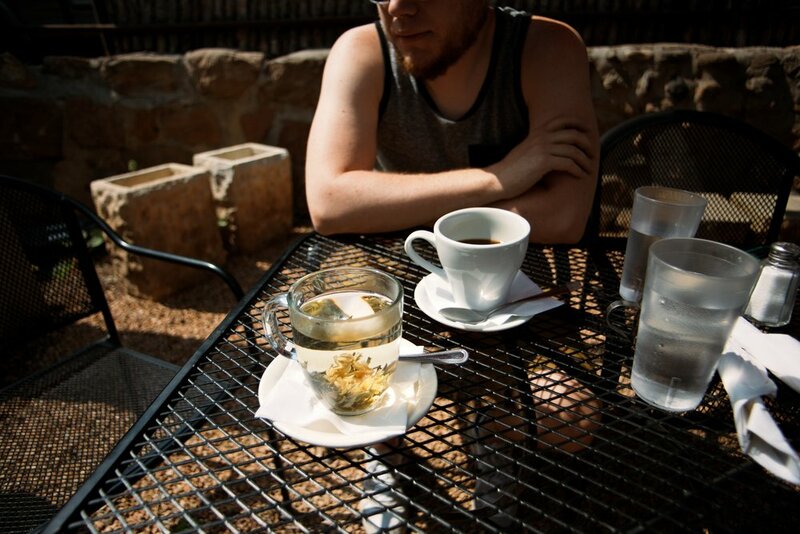 first, we started our day off right with a delicious breakfast (and coffee and blooming tea) at the Teahouse on Canyon Road. This place was as wonderful as everyone said it would be, and they had a dog friendly patio, you can't beat that. Actually, Santa Fe in general is probably the most dog friendly city we've ever been to, it was the perfect place to bring Livy and she got SO much attention everywhere we went, she was in heaven. after a filling and delicious breakfast, we walked up and down Canyon road, and checked out some of the galleries before heading off to our grand adventure for the day, Ghost Ranch! we didn't pick the best time of day (mid afternoon) for a hike out in the middle of the desert, but it was still worth it. we had to buy Livy a kids sized t-shirt, soak it in water and put it around her neck so she wouldn't get overheated, haha. she did great, but looked ridiculous and we made sure to take lots of resting and water breaks. Luckily for us, a storm was rolling in as we made it towards the top of the trail so we had lots of shade and cool breezes on our way down. and it also made for some awesome cloud photos.